T-shirt printing straight in Houston. Our T-Shirts are printed via silk screen printing, have an 12x18 print area, and are made of 100% cotton. Great for all promotional and networking events such as grand openings, trade shows, and career fairs! With low minimums, you can upload various custom design conveniently. The print size is determined by the smallest sized garment in your order. If your order contains small as well as 4XL shirts, the shirts with 4XL will have the same printed area as the small shirt (10" width). 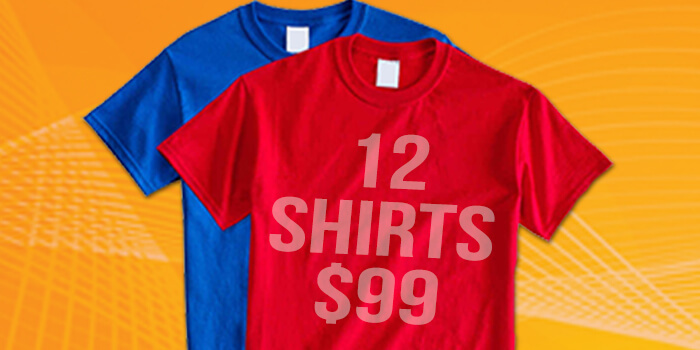 A $35 screen fee will apply if you'd like to re-proportion the largest shirts to have a larger print area. The Gildan 5000 is the classic, adult heavy tee. Please note a 10% restocking fee will apply to the shirts on orders that are cancelled. One color is printed at a time, so several screens can be used to produce a multicoloured image or design. **NOTE - Color of the shirt does not count as a color. E.g. Print colors; Red, White and Blue. 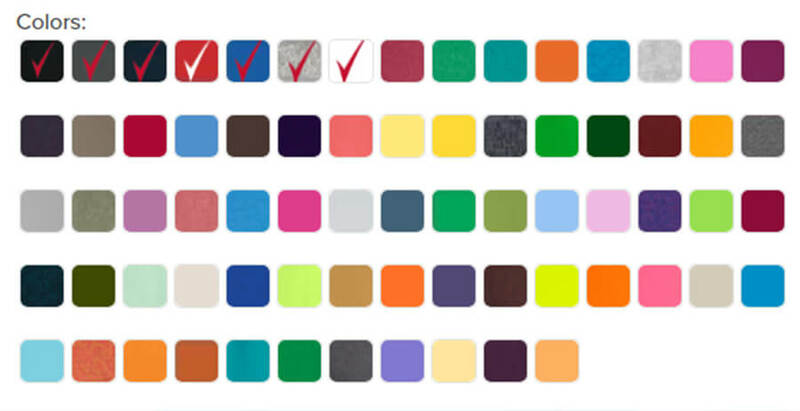 If the color of the shirt is White or any of the print color, we will use the t-shirt color to fulfil the design. in this case, the required screen is 2 screens. Want us to do it? Our professionals are standing by to offer personal design services and help produce results.